Parrelli Optical has provided quality optical services, medical eye exams, prescription eye wear and contact lenses to Middleton, MA residents for 40 years. With a solid commitment to providing the best eye care and developing innovative solutions for even the most challenging optical problems, the professionals at Parrelli Optical approach each patient’s care with persistence, skill and respect. Parrelli Optical offers an extensive collection of name brand frames, lenses and designer sunglasses as well as an unlimited variety of specialty contact lenses. Obtaining your eye wear from Parrelli Optical ensures that you’ll enjoy the many benefits that years of expertise provide. 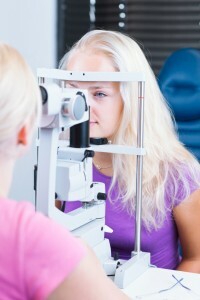 Parrelli’s opticians and independent optometrists do all of the following to ensure exceptional service and results. The doctors at Parrelli Optical will work with you to find the perfect solution, even if your vision problems are complicated. Your vision is one of your most important assets, so be sure it gets the attention it deserves. Schedule an appointment today, and discover the quality eye wear and contact lenses that Middleton, MA residents rely on to make their world a clearer, brighter place.